The canons of the Saluting Battery were ablaze today signaling each of the five starts for the 31st edition of the Rolex Middle Sea Race. 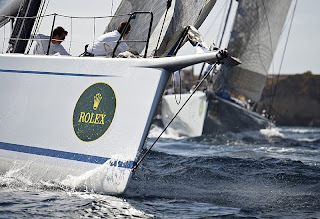 An impressive fleet of 76 yachts – just two shy of the record of 78 in 2008 – was off today from the start line between the Saluting Battery mast and a Rolex mark off Fort St. Angelo. The southeasterly breeze enabled the well-positioned yachts – those that managed a pin end start near the mouth of Galley Creek – to lay the harbour entrance. 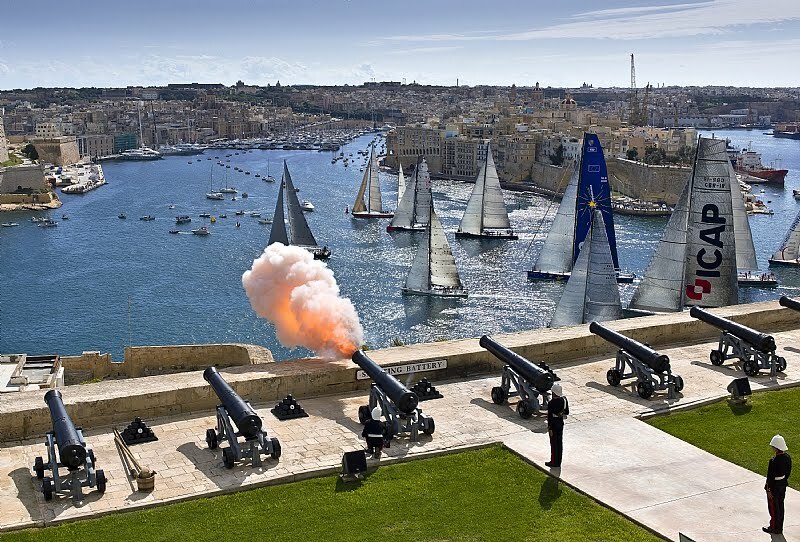 Those not as fortunate were left to tack out of the harbour, which was challenging in the light eight-knot breeze, with the ancient fortifications that surround the harbour deflecting the wind and adding to the tactical challenge. The lone multihull, SIG45, was off first at the stroke of 11.00am, followed in ten-minute intervals with Classes Four through One, smallest to biggest boats. With twenty boats in each of the middle starts, there was the inevitable shouting and close maneuvers, and despite that only three boats were over early and had to restart. The smallest boat in the fleet is the 9.9 metre, BOV Plain Sailing (MLT), one of three racing in the Double-Handed division. Owner Anthony Camilleri will be racing in his tenth race, and his crew Gilbert Azzopardi in his first. 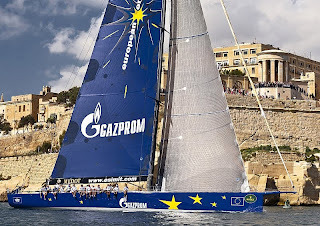 The Maltese skipper won the Double Handed division in 2008 on board Bavaria Flyer Mlt52, which had the ‘luxury’ of electric winches and furling system. Dockside this morning, ICAP Leopard’s navigator Hugh Agnew discussed the race, saying, “We’re going to have a challenge on our hands, because it’s going to be very much a race of two halves; very light and difficult from here up to and through Messina and then it’s going to get even lighter and more difficult across the top of Sicily around Stromboli. There’s just a vacuum up there as far as we can see with lots of rain. So the whole game is who can get out west in time to get into the new weather. 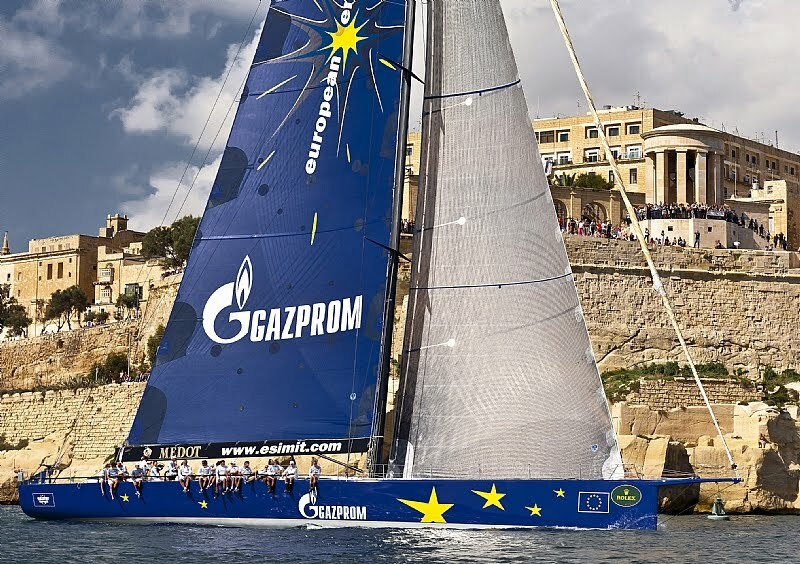 ICAP Leopard was the line honours winner in 2009; this year they are up against the likes of Esimit Europa 2, which they’ve raced against in her former life as Alfa Romeo. Agnew said, “We know from racing against Alfa Romeo that she’s quicker than us in the light. So it’s a question of who can hang on to whom and then what happens in the second half of the drag race. 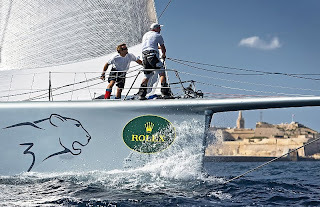 Anyway it’s going or be a very interesting race, it’s certainly a race that’s going to depend on the afterguard: Jerry Robinson, Rob Greenhalgh…and I just provide the data. “It’s one of those strange races. It could either be a biggish boat race; I mean obviously you’d have to look at Alegre at being a favorite, if it ends up being a big boat race. It could be the big boats punch out west, get into it and get home, and the smaller boats get bailed up for longer and longer, up by Stromboli. Agnew’s observation of Alegre (GBR) is not without reason as the well-sailed mini maxi was the Rolex Middle Sea Race overall winner last year. 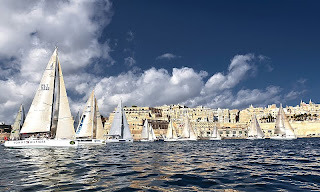 Owner/skipper Andres Soriano and his crew are back to defend, but also enjoy coming to Malta to race. 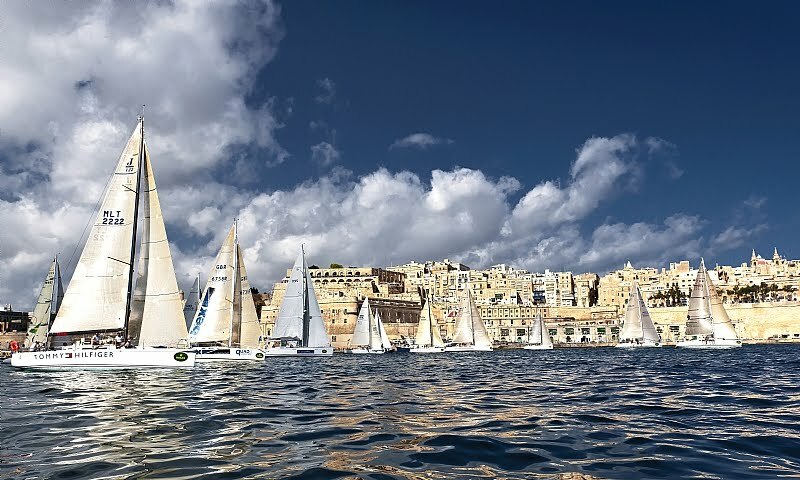 Soriano said “Most of these offshore races are point to point; this is point to point but going around a few things and the scenery is spectacular, the islands are great, Sicily is super, and Messina straits are tricky because there is a lot of current and different winds. You have mountains on one side and high mountains on the other, and at the end you have Messina with lots of the Mediterranean current just funneling through there. And Stromboli again is spectacular no matter how many times you’ve seen a volcano erupt. The last few times we’ve done it, we’ve had a good show. 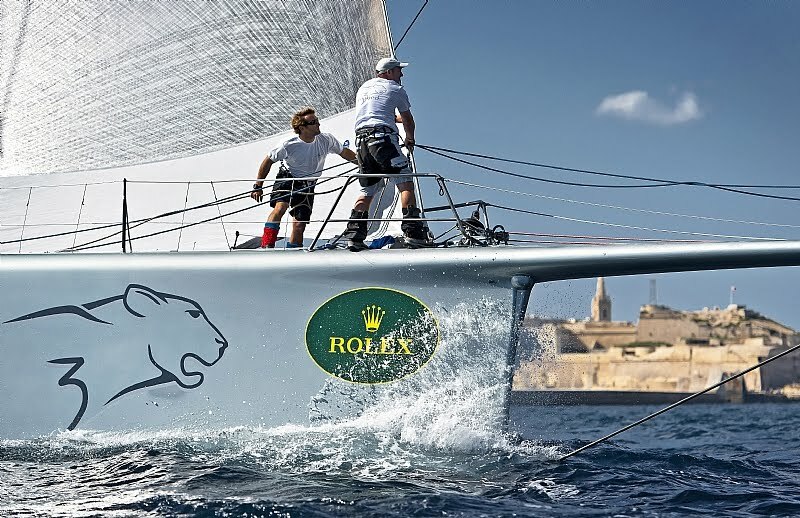 Johnny Vincent owner of TP52, Pace (GBR) is sailing in the Rolex Middle Sea Race for the first time. Vincent, said, “The race is one of the classics; it’s got to be done. The ultimate goal is to beat everyone else, but in this race you can get a bit of everything. Being successful is about staying sensible when it blows up a little bit, and clever when it’s light and tricky.” Vincent will be in good company as his crew includes tactician and Olympic medalist Andy Beadsworth, and match-race champion, Ian Williams. While it’s too early to predict ETA’s for first boat home, some of the frontrunners were estimating a Monday night / Tuesday morning arrival at the finish.